Slightly ahead of the crowd once again I went to Brighton last week to visit the library services at Royal Sussex County Hospital. I was keen to visit this service as they operate across the NHS and Higher Education so there are similarities to my responsibilities. They are also something of a powerhouse in terms of clinical librarianship and their work on current awareness. A major difference is that the medical school library service is run from within the NHS Trust set up. The Head of Service reports to the Director of Education and Knowledge (a multiprofessional structure has been created) who was previously the Director of Medical Education. Brighton and Sussex Medical School is a partnership between the two universities and Brighton and Sussex Universty Hospitals NHS Trust. The student cohort is much smaller than our medical school which sounds great in terms of student experience. They have found some elegant ways to smooth the issues of needing to have multiple network logins with harmonized usernames for the universities and a free standing BSMS email system. An open source discovery layer is used to allow searching across the three LMS in use. Resource purchasing is conducted in partnership and Trust OpenAthens is used for authentication from the outset. Wifi appears to be challenging in similar ways to at many NHS organisations. The availability of Eduroam simplifies some things but it is not widespread in the Trust buildings. Training is conducted jointly with two thirds of attendees undergraduates. The shared nature of resources supports this. A very popular course they have added recently is around reflective writing for nurses preparing for revalidation. This looks like something we should investigate offering with others in the room having to add multiple sessions of this. It was great to hear from Tom Roper about the work of the Clinical Librarian team. I was interested to learn that an early experiment with this had been conducted by Jean Farmer as the Will’s Librarian at Guy’s – I am looking into this history further as I suspect it is little remembered locally. The take away for me was quite how slow it is to get these services off the ground and embedded. Any move in this direction must be prepared to be patient. I had heard a fair bit about KnowledgeShare at various other events but it was good to hear more about it in use and see the various ins and outs. I would love to have something of this kind for our users but the impact of the additional work around registration would be significant. Always fun to go to the seaside. 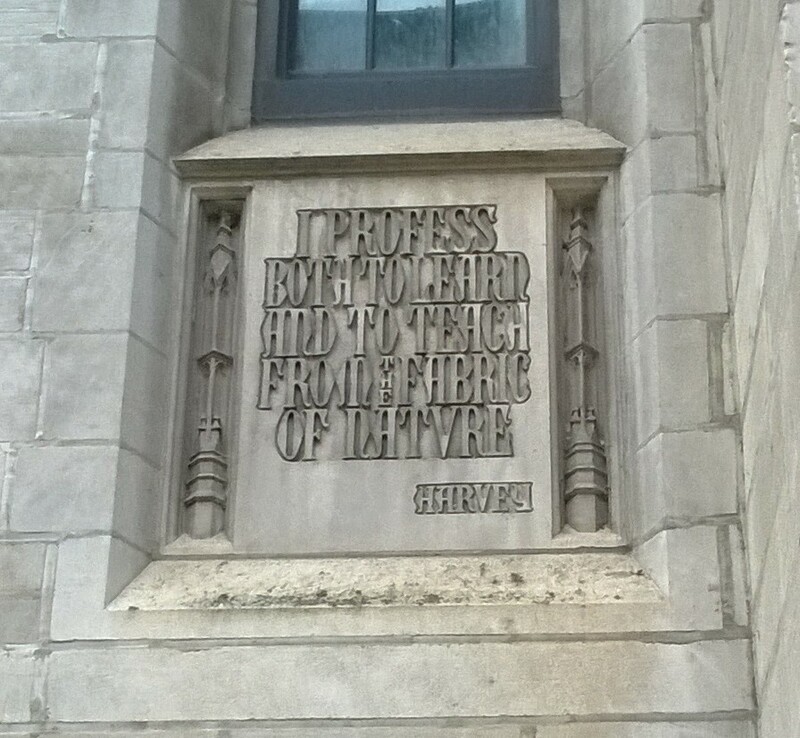 I mentioned last post that I visited a library while waiting for the conference to start. I basically invited myself for a self directed tour. 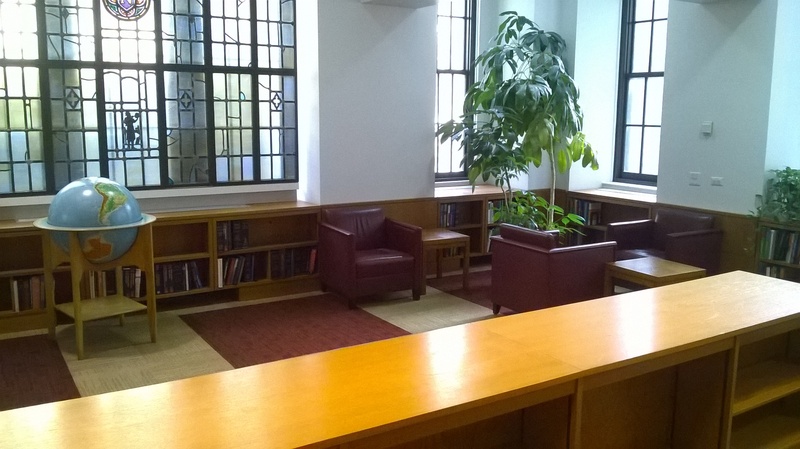 This is a quick run through of what I found when I visited the Galter Health Sciences Library located a few minutes walk from the conference. 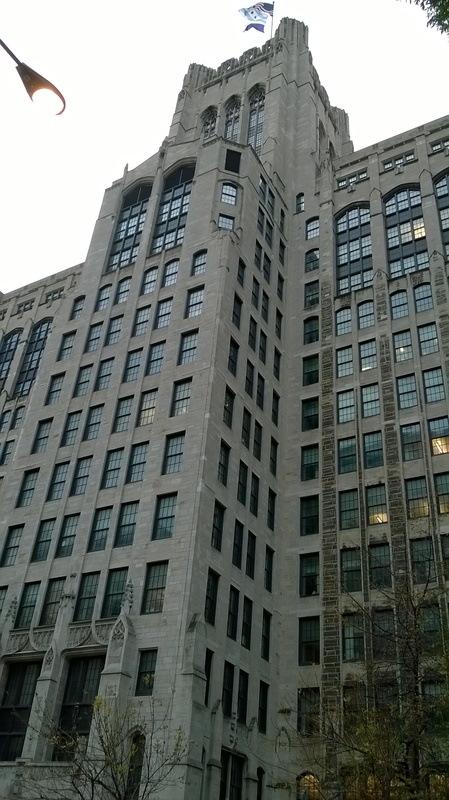 The library is based in a fantastic Gotham style skyscraper with lovely details – it was great to really have the feel of a medical school. While there was no security gate in the library there was a guard on a desk outside for the building more generally and I was issued with a temporary paper ID badge with my photo on it. You will likely be unsurprised to hear that they had loads of space. The Medical School is somewhat smaller than the one I work with and space felt under no pressure (though it may have been a quiet time). You arrive though a wide corridor with a run of capacious staff offices on one side with liaison teams in a highly visible location. Self issue was not yet in place. Moving round the corner things became more modern. 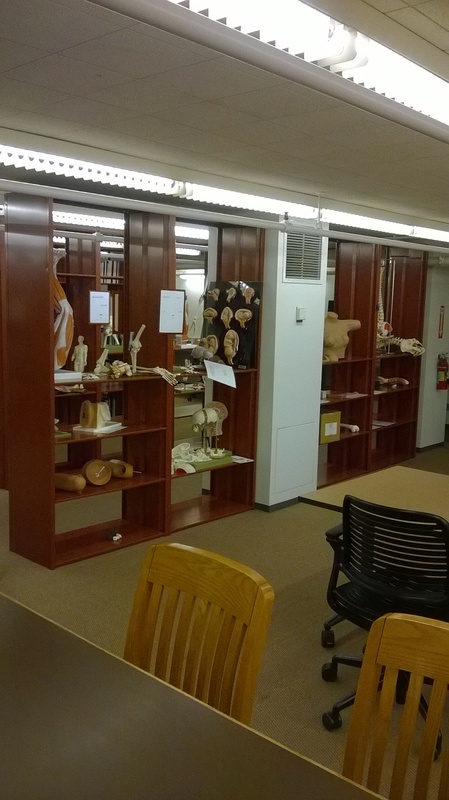 I loved a collection of anatomical learning aids / models that were available on open access and in the catalogue. Flip charts and mobile white boards meant people could shift things to suit their needs. There were a variety of teaching spaces on the ground floor with a very snug computer room in use when I passed and a much larger space used as open access computing the rest of the time. 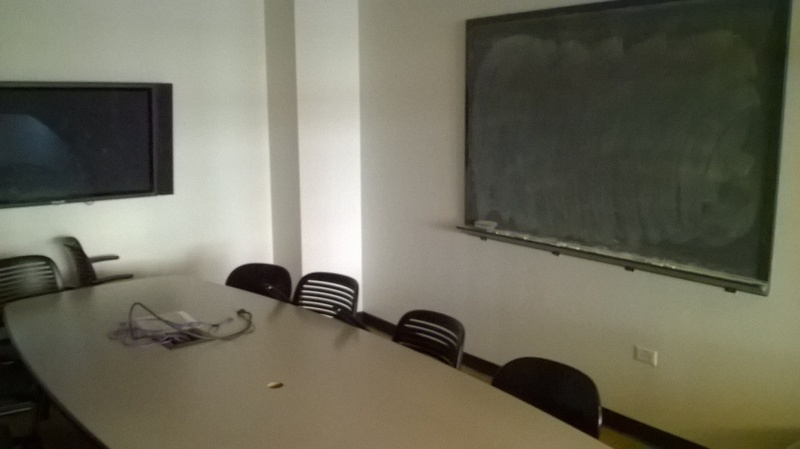 There were several sets of group study rooms in different locations with varying levels of equipment (Conference Rooms in their parlance). Upstairs a whole mezzanine area was boxed off where they had previously stored journals and had not yet decided what to do with the space (did I mention space pressure was low?). 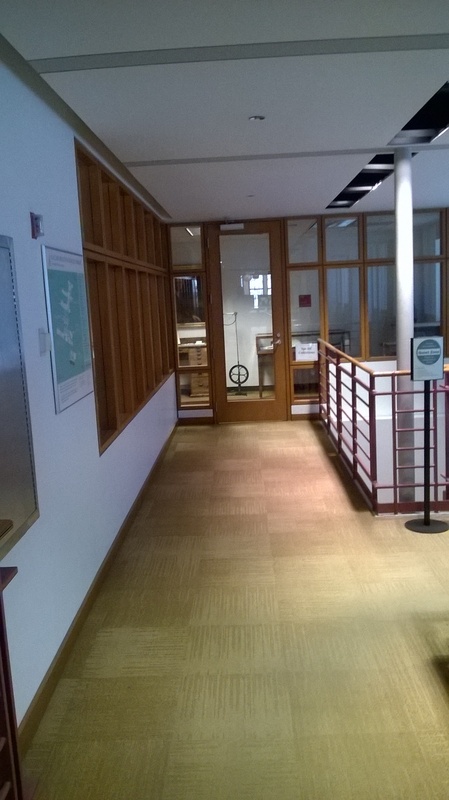 Special collections had their own space within the library with lots of display cases along corridors. They were not around when I visited. Along the wide open areas of the top floor they were busily engaged in prototyping new furniture options. Students were invited to give them a go and provide feedback. Most popular were various combinations of desks with cloth walls creating enclosures for group or individual work. These were in use despite there being other more spacious options available. 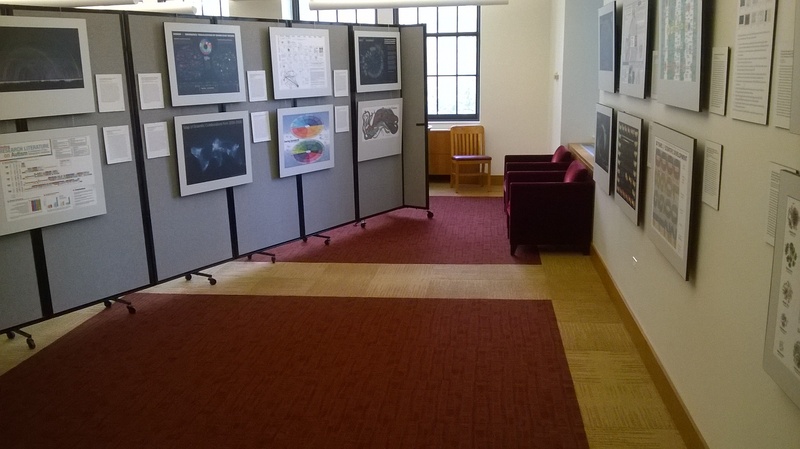 The final gesture in the “we have so much space we hardly know what to do with it” stakes was a display of posters. Spot the careful arrangement to minimize footprint. 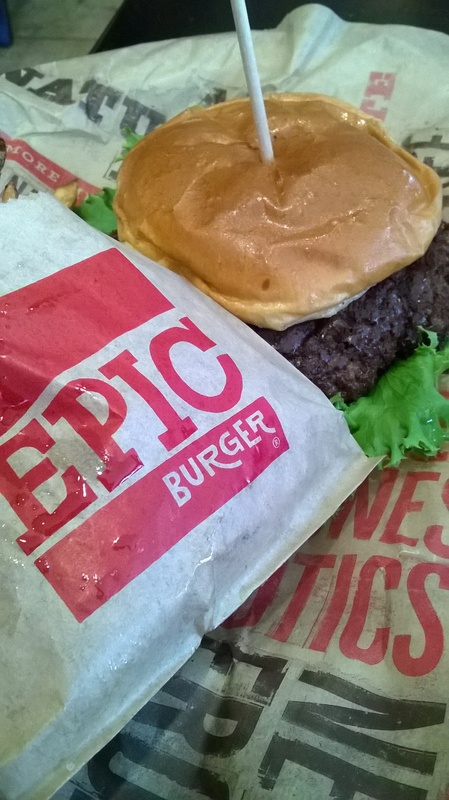 I just had time for a quick bite of lunch before the previously reported conference session. 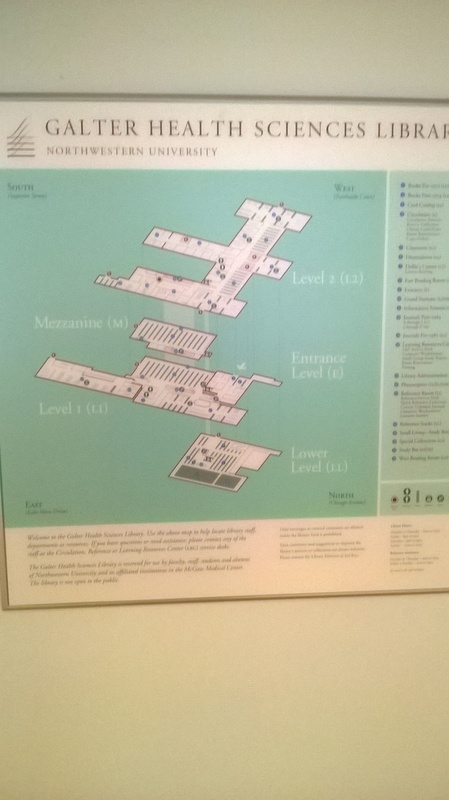 I had the pleasure of visiting the Wellcome Library recently (trip organised by CILIP ARLG L&SE). While I have visited the revamped Collection spaces on a number of occasions the last time I was in the Library was some moons ago to hear Robert Kiley talk about the Internet and other such new fangled things. The space very much matches the transformation downstairs. I loved the shelf end bays that use images from the collection linked to the materials in that area. There was good use of furniture to create different spaces though the book stock does dominate a lot of areas. The Reading Room was an unexpected change and one I look forward to returning to. The mixture of books, exhibits, art, interactives and seating was great. We had a visit to the scanning mines of the UK Medical History Library project. They are going great guns in digitising large numbers of books including some from my employers special collections. A fascinating resource is being built (though the most viewed items are unsurprising). I had not seen a foot pedal operated scanner in action so it was good to get an idea of how these work. We also popped into the more cautious digitisation work where all manner of skills are in place photographing the large collection of early books. A rich collection and one that I will heartily recommend to all those were it might be of use.